ecokleen Stain Destroyer by Bio-Pro Research is specially formulated for organic stains. It's professional strength formula is a ready-to-use spray for fabrics, vinyl, carpets, and rugs. Ideal for use on any organic stains including food, drinks, bodily fluids, grass stains and much more. Made with USDA certified ingredients. Available in 946ml. 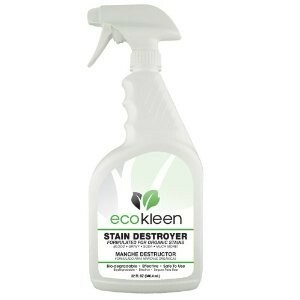 ecokleen Stain Destroyer is a professional strength cleaning product formulated for organic stains. The formula is bio-degradable, effective and safe to use. Do not mix with other chemicals or cleaning agents. Store in a cool location. 1. 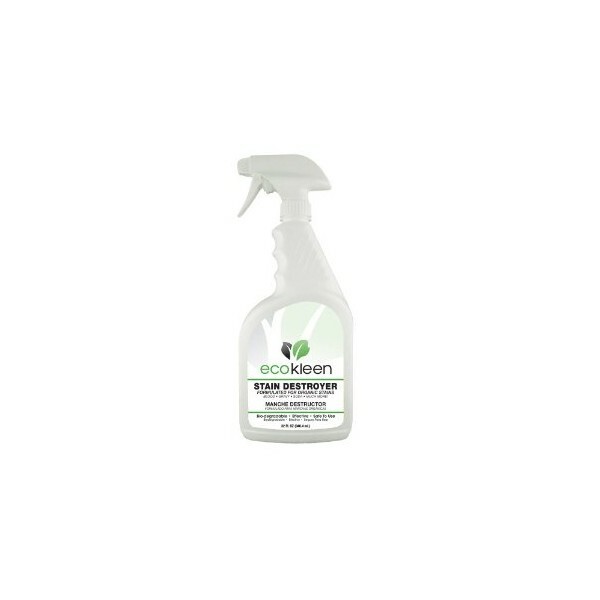 For spray and wipe, allow ecokleen a few seconds on the surface to work best. 2. Saturate soiled areas. ecokleen must contact deposit in order to be effective. 3. Agitate if on a hard surface. If a soft surface, work into the nap gently with a clean cloth. 4. Allow ecokleen time to work: Fresh stains - a few minutes. Old stains - cover area with plastic and allow it to remain overnight. Remove plastic and remove residuces with a damp cloth. 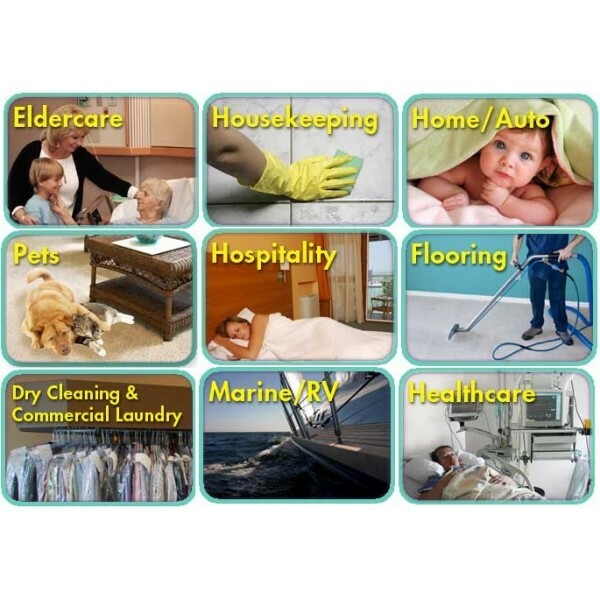 Old stains/deposits may require multiple treatments. 5. Agitate and rinse to remove residues. Caution: Avoid contact with eyes, skin and open wounds. Do not use as an air freshener. Keep out of reach of children. Do not spray on humans or pets. EYES - Flood with water for 15 minutes. If irritation develops, contact physician. INHALATION - If symptoms of overexposure are experienced, evaucate to fresh air. Consult physician.